Returning after a fifteen year absence, A Perfect Circle unveil their brand new album Eat The Elephant and its a beautiful study of the word we live in today. With humanity having drastically changed since the release of A Perfect Circle‘s now classic, Thirteenth Step in 2003, Billy Howerdel and co return to a very different outlook into the world. Creating a compendium that studies as much in music as it does in emotion, the likes of apathetic delivery of Maynard James Keenan‘s vocals on “Disillusioned” contrasted against the celebratory melodies and solemn lyrical matter of annihilation on “So Long, And Thanks For All The Fish” make for just one of the many beautiful oxymoron’s on the record. Eat The Elephant is as much a look into the world we are in today as it is a return for the band. Having somewhat missed the boat the first time round given that the records were just slightly before my time, Eat The Elephant is a fantastic encapsulation of the world in 2018 with some of the most inspired songwriting that you’ll hear this year. Make no mistake 15 years haven’t blunted this band’s emotive attack one iota. Watch my video review for the full review and make sure to subscribe to my YouTube channel! 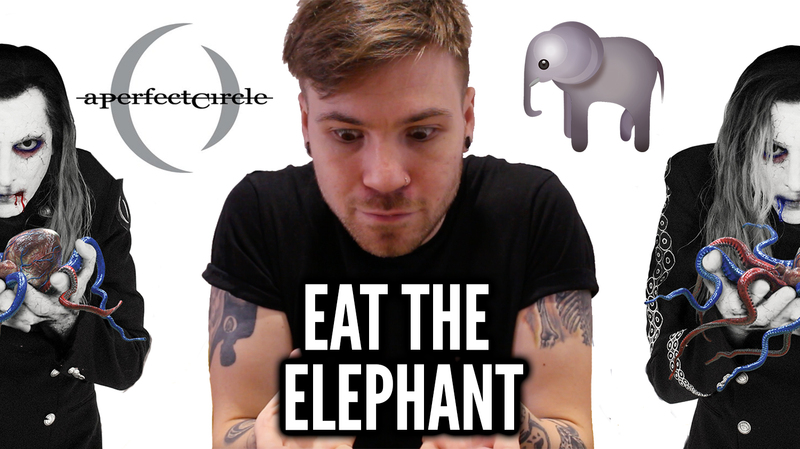 You can also pick up a copy of Eat The Elephant right here!